Follow a professional art historian deep down into the ancient underground world that remains frozen in time beneath the streets of Naples. 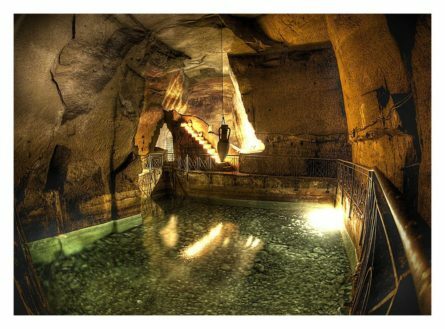 This 3-hour private tour of underground Naples will allow you to explore the hidden ruins that reveal details of the city’s past. Your adventure will embark in the city center of Naples and then descend below ground to discover key locations such as the old Roman market beneath the Gothic church of San Lorenzo Maggiore and the ancient archaeological site just below Naples Cathedral (Duomo di San Gennaro). By exploring the layers of the city you will come away with an understanding of how Italy is constructed on different levels and by descending below the surface it is possible to move through a real time machine back through the centuries. From modern to medieval to ancient, you will move underground in order to gain a deeper understanding of Naples’ complex history.